"Kind & understanding. Love to recommend this doctor & staff anytime!" "My past medical experience has built up a great trust & confidence in him, and I know I can expect the best of the best from him." "Dr. Leone is an excellent surgeon. I am lucky to have found him. " "Dr. Leone is a knowledgeable and very nice doctor. There should be more doctors like him." "I like the inclusion of the PA snd NP in the practice"
"there is no one more concerned or caring about your health issues than Dr Leone." "I have referred Dr LEONE to several people who have become patients." "Dr. Leone is the best." "I was at the office for a flu visit for my hip & I had, in the interim, sprained my ankle, I had gone to urgent care 2 days prior to visiting Dr. Leone for my hip. He was so gracious to look at my ankle & the X-rays I brought with me - He took the time out of his busy schedule to look at every thing & told me to get an aircast & had me schedule an appointment with another doctor who deals with ankles - I was very grateful for his caring & direction - "
"Dr. Leone is the best doctor, I was very lucky to have him 3 years ago." "I always recommend Dr. Leone to others. He is a great doctor." "I have recommended this Doctor to my Son , daughter and friends"
"Dr. Leone is always concerned and shows empathy with my health problems. I have recommended a few people to Dr. Leone." "I look very forward to any visit to this office." "Dr. Leone is an exceptional doctor - he is thorough, kind, compassionate and always takes the time to actually talk with his patients, rather than rushing through the appointment as some doctors do. I trust him implicitly with my spinal care and would not hesitate to refer him to anyone needing a high caliber orthopedic surgeon." "won't see anyone else only Dr. Leone"
"I have recommended Dr Leone to several friends and family"
"Dr.Leone is very professional does not rush into surgery." "Not only do I have utmost confidence in Dr. Leone, I have recommended him to many people. he is a fine physician who is skilled and yet humble." "Dr. Leone is one of the most compassionate doctors I ever knew. May God continue to bless him & his hands." "Dr. Leone is one of the best doctors I ever had." "dr Leone is excellent and I have recommended him to family and friends"
"Doctor Leone is a caring an excellent surgeon." "Very compassionate and showed empathy to situation and family. Very much appreciated." "2n surgery with Dr Leone and both times a great result and a fantastic experience with all of your staff. I am glad to be part of Northwell system"
"Dr. Leone is fantastic. He is very thorough and compassionate. Having him as my surgeon was key for me getting through the surgery and recovery!" "I have been a patient of Dr. Leone for years. Excellent, excellent doctor!" "Dr. Vincent Leone is an excellent doctor and I have recommended family and friends to him many times." "Dr.Leone has been treating me 8 years and does not rush into surgery unless needed.He is like family to me." "I have all the confidence in Dr. Leone and his staff. I have been well taken care of." "Very encouraging about my choice to go to a gym. He also said I can call on him any time if I need a change to P/T. It is a nice feeling to know the doctor is there for me." "Dr. Leone is always very attentive & I have never felt rushed." "My doctor was very professional and caring and helpful and understanding to my condition!!!" "Dr. Leone has always inspired me with the utmost confidence in him as a doctor and a caring professional!" "I have and will continue to refer Dr. Vincent Leone. I have complete trus in him and his medical knowledge and skills." "He is a wonderful doctor. Help you understand what going on in my language. " "He is a great doctor -"
"Because of the great care I receive, I refer all of my family and friends who have orthopedic issues to Dr. Leone." "I have the utmost confidence & respect for Dr Leone. I have recommended him several times & have always gotten a thank you from those I have recommended him to. it was my primary Physician who recommended Dr Leone almost 9 years ago. Not unusual except it wasn't the normal recommendation, it was because Dr Leone had operated on l2 members of his immediate family." "Dr. Leone has always been more than helpful. Explanation are always very good. I would only have Dr. Leone operate on me and has always guided me in the right direction. He is above excellent. I always recommend him & his practice!" "None better than Dr. Leone!" "Excellent! Dr. Leone is the true meaning of perfection! Best of the best! 8. Plenty! 9. I trust him implicitly. " "an excellent person and physician"
"Dr. Leone is always so understanding of my concerns and tries to help me solve them." "I did recommend a second opinion to a friend . He went with Dr Leone. ,and was very satisfied with his surgery. He and his wife are so pleased to have Dr Leone as their doctor." "I have already recommended DR. L_____. " "We are extremely happy that we found Dr. Leone. Our experience for spinal surgery was wonderful!" "I have recommend Dr. Leone & associates to friends & family." "have been using dr leone fir numerous yrs. my second surgery with him. always reccomnend him"
"Dr. Leone is thorough, kind and gives you his time." "I have recommend Dr. Leone to others." "dr. leone is wonderful n has been taking care of me for years, as well as my family members"
"Dr. Leone is a great guy!! " "I have been a PT at this office over 12 years and have recommended several other people to Dr Leone and everyone has been quite satisfied"
"Care provider (Dr. Leone) provides care above and beyond for all my _____ questions and concerns." "Dr Leone is the very best. I wish every doctor was like him"
"I have complete confidence in Dr. Leone." "I love Dr. Leone. He is the only Dr. who, when I had a major problem 10 years ago, said he liked to be conservative, and wouldn't fuse my vertebrae unless he had too. He didn't, and I had no more back pain for several years, until a different problem surfaced. He never rushes through an appointment, explains things clearly, and listens to my concerns, and answers all question. I have recommended him to everyone. (One neighbor didn't use him, and is now permanently disabled.) I don't even want to think about the day he decides to retire. If and when I move, I'll still come back to see him for my back problems." "I love the care and treatment my doctor gives me, his bedside manner is impeccable!" "Great Doctor. Have already recommended him to others." "I have been a patient of Dr Leone for over 10 years and I have confidence in his work, knowledge,and concern for my well being"
"Dr. Leone is a terrific Doctor. I have been with him for over 20 years. he takes his time with you and listens to everything you have to say. I would not go to another orthopedic again." "Dr. Leone is an excellent caring doctor." "Dr Leone is an excellent Dr. I have recommended his practice to others." "Dr. Leone is excellent. I would not want to go to anyone else." "Dr. Vincent Leone is the best. He takes time to explain the condition, your worries,etc., and follows up on your progress. 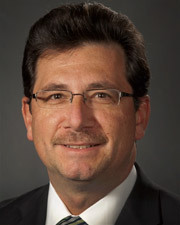 Dr. Leone is a well liked, and a highly skilled surgeon you should be proud to have on your team. Thanks for asking." "Dr. Leone is extremely professional and conservative in his treatments surgery is only on a last resort." "Never rushes you, shows true concern for your feelings." "Dr. Leone is exceptionally caring and competent orthopedist. He is always easy to understand spends time with the pt. He is an exceptional spinal surgeon. I have and will continue to refer pts to him. He has been able to treat me for various orthopedic problems always with very good outcomes; especially by lumbar spine surgery over 6 years ago." "If I need him before next appointment, He will be there for me." "As stated, Dr. Leone is an excellent surgeon!" "Dr Leone provided excellent care - would highly recommend. I believe his skill enhanced my overall quality of life long term"
"Dr Leone is an outstanding surgeon with a bed side manner to equal his surgical skills. Others docs could take a lesson from him." "Very good experience in treatment of the medication." "Dr. Leone was a very good Dr. I had surgery with him 12 yrs. ago an again now." "I have recommended Dr. Leone to others, and like me, they are totally happy with his care and concern, knowledge and expertise, and surgical process." "Excellent surgeon - Dr. Leone." "I have been a patient of Dr. Leone for at least 8 years. He has always been extremely professional, caring, a wonderful diagnostician and surgeon. I have the utmost respect for him and extreme confidence in him. He is very thorough when examining you, and makes sure you understand your diagnosis and have an active part in your treatment. We certainly need more doctors of this caliber!! I was operated on by him(spinal surgery) over six years ago with an excellent outcome." "Dr. Leone is the Best"
"My provider is excellent I do not have any problem." "Dr. Leone is the best doctor and person in the world!!" "DR. Leone is clear about conditions and is very helpful with suggestions for improvement"
"Dr. Leone is the best, I have recommended him to friend & family." "Dr. Leone has guided me perfectly through my surgery and recovery. A top professional in every sense of the word !!!" "Been a patient of Dr. Leone since 1999, enough said." "No problem every is good." "Dr. Leone was very good explaining all the options I have for treatment and recommended physical therapy." "Dr. Leone is the reason I don't move out of state with my conditions. I have recommended many friends & family." "Dr. Leone is the best. Very thorough, knowledgeable and extremely caring." "Excellent - I have recommended several to Dr. Leone." "Dr. Leone is an outstanding physician. More doctors should be like him." "I cant say enough good things about Dr. Leone and staff. Just wish you had a choice of outstanding on this survey, because that would be them!" "I have always had confidence in Dr. Leone. Always will, if I need him again." "Could not ask for better." "Never had a bad experience w/this office. #9. Dr. Leone is a very caring man." "Already recommended Dr. Leone to 2 other people. I was very satisfied with him." "All my concerns, questions & answers were satisfied in a calm, caring & professional manner." "@ times feel rushed with dr."
"Dr. Leone always shows utmost respect for his patients & is very caring & takes time to explain everything." "A pleasure to deal with this provider." "Excellent concern, care & knowledge."